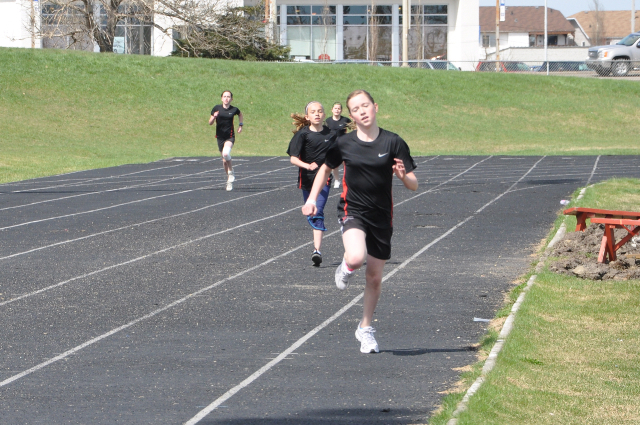 The local track and field season kicks off on Saturday, May 13 at the Legion track with another edition of the Peace Country Classic/GP Kid’s Meet. The PC Classic is an all comers meet for athletes of all ages and abilities – from 6 year olds to 86 year olds. The meet features a full range of sprints, jumps, and throws. This year’s meet also serves as the Zone 8 qualifier for the 55+ Alberta Seniors Games in Calgary on August 1o and 11. Online registration and further information about the meet are available on the Peace Country Wolves Athletics Club website. This entry was posted in Outdoor Track and Field and tagged Alberta 55+ Seniors Games, Athletics, Athletics Alberta, Grande Prairie Kids Meet, Peace Country Classic, Track and Field. Bookmark the permalink.